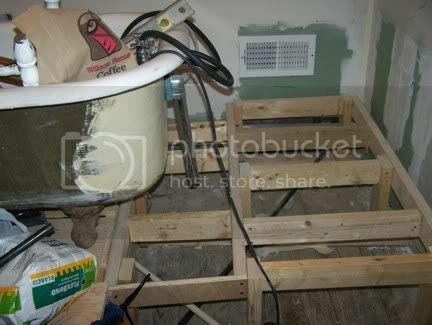 The first thing I did was move the plumbing. You can see where the hot water comes from along the far wall, and the cold water from the other side of the room coming up from the bottom of the picture. 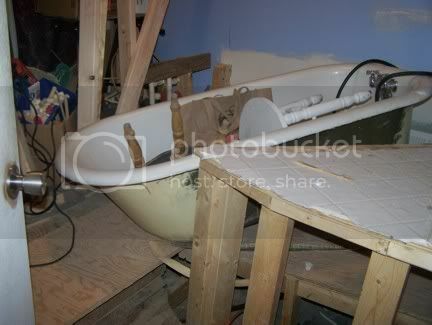 I redid the entire hot water plumbing in the house in the course of this. I think it would have wrapped around the bathroom a few times; it meandered all over. 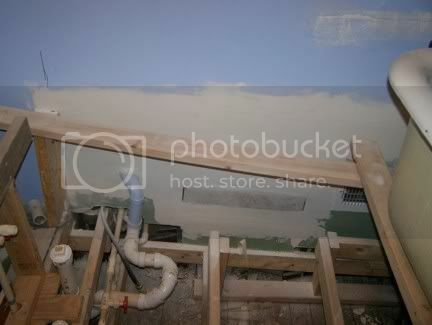 Also here is the basics of the drain and the shower wall. Which I had to take all out again because it was in the way. 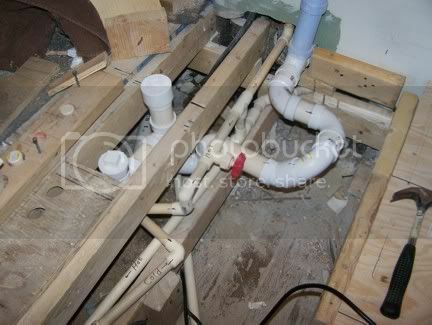 The really tricky part here was getting the drain in exactly the right place. The faucets have flexible pipe, but the drain is direct. 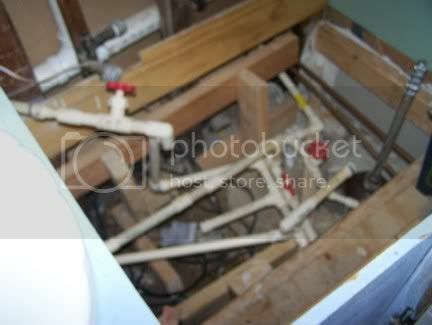 This is the water hub, in the other corner of the bathroom, under the subflooring where I can get to it in emergency. 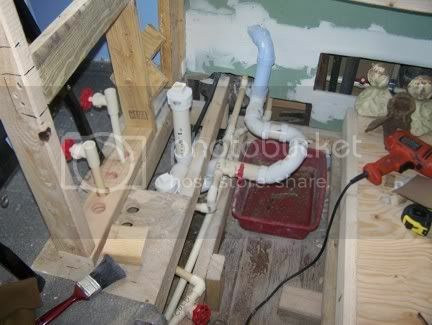 The final plumbing. Wall removed. If you look close, you can see the 'hot' and 'cold' labels, with the direction of water flow. Boy! Wouldn't it have been nice if I could have done it as quickly as I can tell you about it? I didn't date-stamp these pictures, so I'm not sure just when they were taken.